Komatsuna (Brassica rapa var. perviridis) is a classic Japanese brassica green. 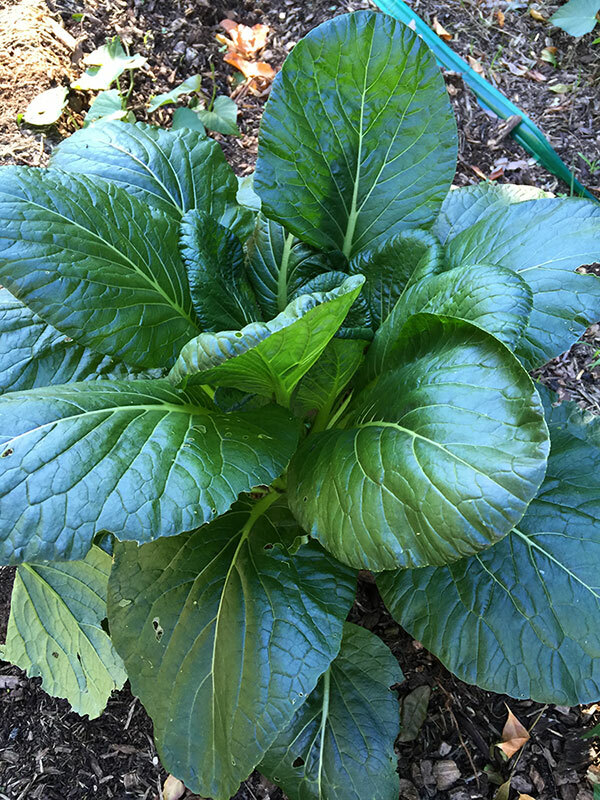 It is a medium sized plant shaped like a typical open cabbage family plant. The white or green leaf stems grow to about 40cm high and the leaves form a nice dark green paddle shape up to about 20cm across. They are very hardy plants like most of the brassicas and grow best in cooler and wetter weather – however they can handle a fairly dry and warm period as well as long as they get enough water to keep them rigid. i.e. 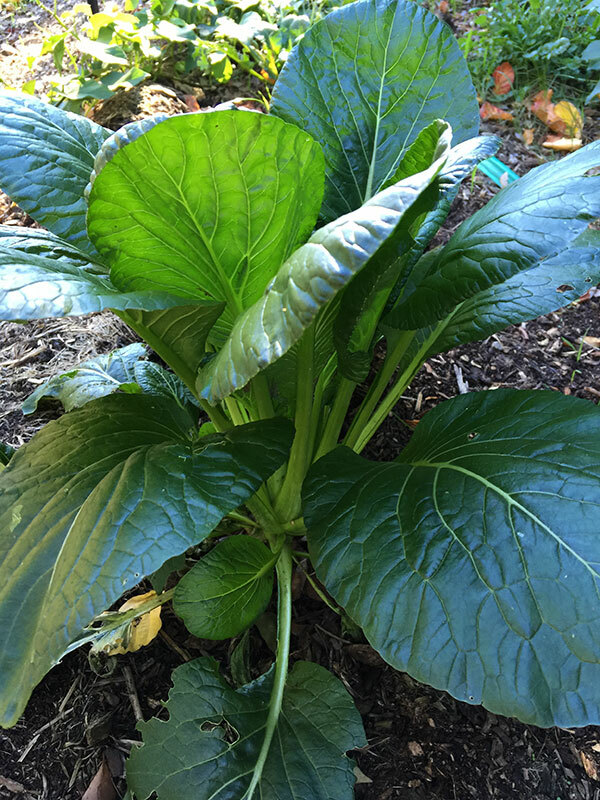 they can be grown year round in a climate that is not too harsh. The taste is like a mild silver beet or chard but with a mustard/radish back bite that kicks in quite quickly. The more water they have and the faster they grow the less this strong mustard/radish type flavour permeates the leaf. The stems have little of the ‘bite’ so to cook with them it is best to use as much of the stem and leaf as possible to get a nice overall balanced favour. The stems generally have a nice crunch and no obvious fibre or strings when you chew them. Just the stems alone are worthy of a place in a dish. They are really excellent when chopped fresh with other vegetables like very finely sliced carrot, spring onion and zucchini in a dish with ramen noodles quickly cooked in a subtle chicken or vegetable stock which is then all ladled over the fresh vegetables – so everything cooks in the dish from the residual heat of the noodles and stock.